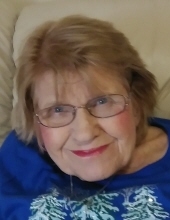 Bridget Kerr, 92, of Stevens Point, passed away at the Wellington Place on March 16, 2019. She was born in Stevens Point on December 15, 1926. Daughter of the late Leo and Mary (Adamczyk) Buza. Bridget graduated from PJ Jacobs High School, Stevens Point in 1944. She was united in marriage to Royal J. Kerr. Bridget was employed as a computer programmer at Blue Cross Insurance Company in Milwaukee. She enjoyed visiting friends and family, especially her children. During her working years in Milwaukee and continuing into retirement, Bridget attended the cultural and civic events the city had to offer especially the many festivals and fairs. Above all, her favorite pastime was shopping. Bridget is survived by her three chidren, Roy (fiancé Polly Davis) of Neenah, Debbie (Rick) Miller of Plover, Rhonda (Steve) Derse of Okauchee; five grandchildren; ten great-grandchildren; brothers, Fred (Ida Mae) Buza of Florida, Gerald Buza of Plover, LeRoy (Karen) of Plover. She was preceded in death by her parents, Leo and Mary Buza; sister, Florence (Ernest) Augustine; brothers, Donald and Jerome (Marian) Buza; sister-in-law, Donna Buza; and grandchild, Clinton Miller. A Funeral Mass will be held at 10:30 AM, Friday, March 22, 2019 at St. Stephen Catholic Church with Rev. Dennis Stanchik presiding. Visitation will be on Friday from 9:00 AM until the time of the service at the church. In lieu of flowers, please make a donation to Wellington Place. To send flowers or a remembrance gift to the family of Bridget R. Kerr, please visit our Tribute Store. "Email Address" would like to share the life celebration of Bridget R. Kerr. Click on the "link" to go to share a favorite memory or leave a condolence message for the family.